Versus gives your facility the power to locate patients, staff and equipment in real-time. But we do more than just tracking with RTLS. We excel at clinical automation and process improvement. The result: integrated systems, optimized patient flow, improved care and safer, happier patients and staff. Whether you’re looking for advanced patient flow and automation applications, or just the simple ability to locate patients, staff and assets, Versus offers a scalable RTLS platform to meet your enterprise-wide needs. Discover healthcare’s most advanced real-time locating system, including infrared and Wi-Fi RTLS technology. As a clinical location, automation and awareness tool, Versus supports the work you do with patients. The typical Wi-Fi RTLS attempts to add room-level accuracy with multiple pieces of hardware for every room. 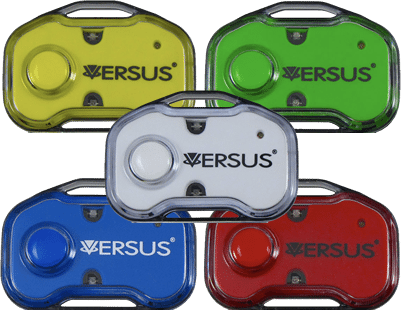 Versus is the only RTLS that allows you to add care-level accuracy using just a single, discrete sensor in each location. Chair-level locating provides treatment time and very precise infection control reporting.